After launching iBall Andi 4Di+ few days back, iBall is back with another budget phone, iBall andi 4.5z, which is powered by a dual core processor and sports an 8 MP primary camera which might be what many would be looking for at a price of Rs. 7,499. The display is 4.5 inches in size and sports qHD resolution 960 x 540 pixels. This gives you pixel density of 244 pixels per inches which is fine clarity display. On the software front this phone comes with Android 4.2 jelly bean operating system. This phone is powered by 1.3 GHz Dual core processor based on cortex A7 architecture, which is backed by 512 MB RAM and internal storage is 4 GB. This storage can be extended by up to 32 GB. The chipset is not specified and we don’t expect it to be MT6572 as the camera is of 8 MP, which is not supported by MT6572. Apart from the auto focus 8 MP primary camera at the back (with LED flash), a front VGA camera is also present for video calling. This phone also sports Dual SIM functionality, which is must have feature in all budget phones from domestic manufacturers. 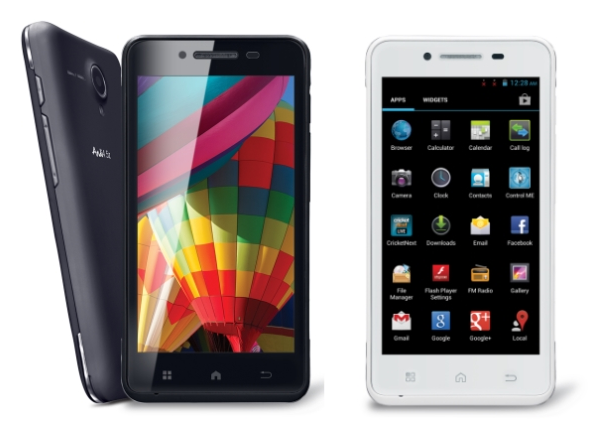 The battery capacity is of 1700mAh similar to iBall Andi 4Di+, and is expected to last one day with moderate usage. Connectivity features include Wi-Fi, Bluetooth, EDGE, GPRS and 3G.